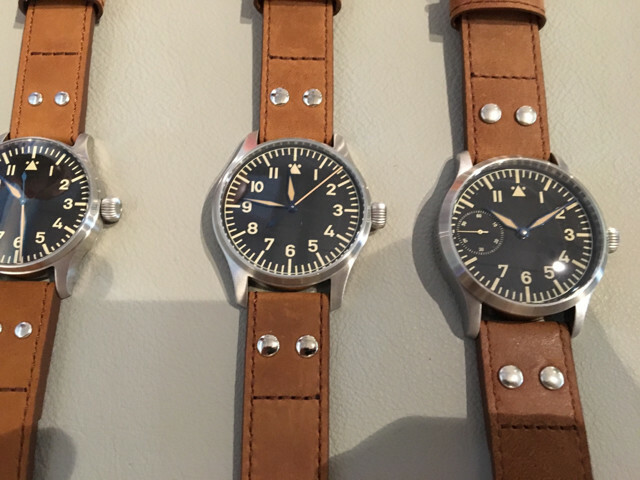 ... to my eyes there is no discernible difference in the colour of the lume on the hands and dial on the real vintage 55mm Flieger. To my eyes, there is a difference. As Fred0 says in his post above, the lume on the Tourby Pilot Vintage matches perfectly. Actually, I do see a difference in the pictures here. That said, I was surprised at the visible difference in lume color in the prototypes. I guess it's more difficult to match the colors, given the technical aspects of applying lume to hands and dial, then maybe we thought? Yes, the vintage on my Omega Seamaster 300 matches perfectly, but it's a different dial (lume not printed/coated directly onto the surface of the black dial) and different hands (polished silver, not blued), and different manufacturing resources altogether. Definitely not suggesting anyone should buy this if they don't like it, but maybe should be more understanding of the reality of the situation? Last edited by Zinzan; March 25th, 2017 at 22:29.
isnt it really strange? the colour difference between the hands and the dial seems better (almost none!) for tha small seconds flieger than the type A one below? And for the baumuster; things are getting more confusing.. From the announcement of this series; i ve sent mails to them and i asked even in here.. So in limited series i was expecting smth. like; the numbers which shouldnt be lumed also must be printed or painted to the same colour (with a non-luminous paint) with the numbers which are lumed have..
second; the eta 2804 wont need any special modification; both pulled positions of the crown will have their functions. But the date option just getting the colour issue more complicated.. cause it is bringing a third colour: white!! Isnt it possible to print some date discs in a way that the date numbers will have that same colour? And again because of the lume pattern of baumuster B, a date window and disc will cause a big gap of dark in a lumeshot.. Isnt it possible to have that date disc also be lumed? So seems like there is a watch which can really be beautiful like a dream, but needing smth. to be changed, for sure!.. Last edited by ddestici; March 25th, 2017 at 21:34.
and if there will be smth to be done about the colour difference; it should be getting the numbers darker, instead of getting hands lighter.. Cause the second option would make the limited fliegers to seem closer to the serial ones, i guess.. Agreed. When it was first announced, I imagined a colour like that on the hands rather than that on the numbers. 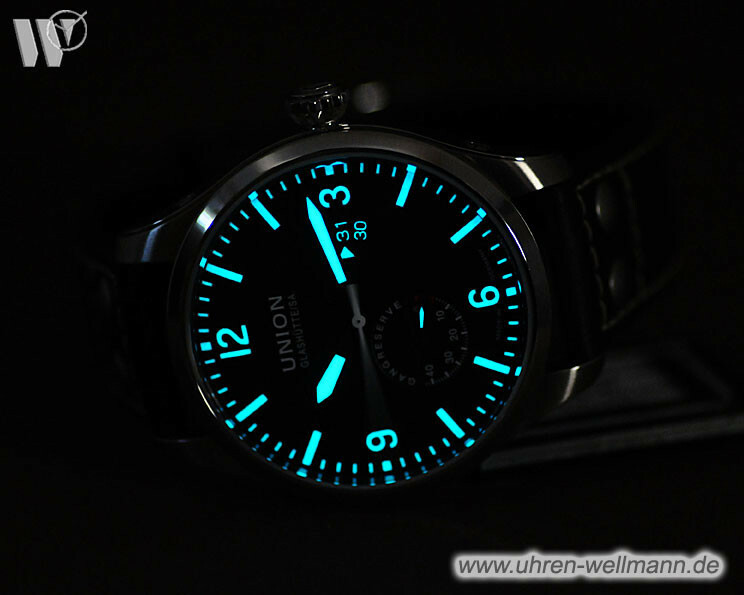 I came across this watch of another brand with old radium lume. Same disparity. I actually LIKE IT! I'm in! Last edited by Inq; March 26th, 2017 at 12:33. It's OBVIOUSLY a vintage Flieger. You can't be serious about re-lume can you? It's the vintage colour OR discolouration that appeals to me. If the look suits you, I'm not going to argue. Regarding the relume, it wouldn't be the first time a vintage flieger has the dial refinished. In my honest opinion, I wouldn't wear a new watch that has different colour lume on the dial and hands, it looks amateurish... But again, it's a matter of personal taste, just like the beat up version that Laco sells. Inq, chickenlittle and JohnM like this.